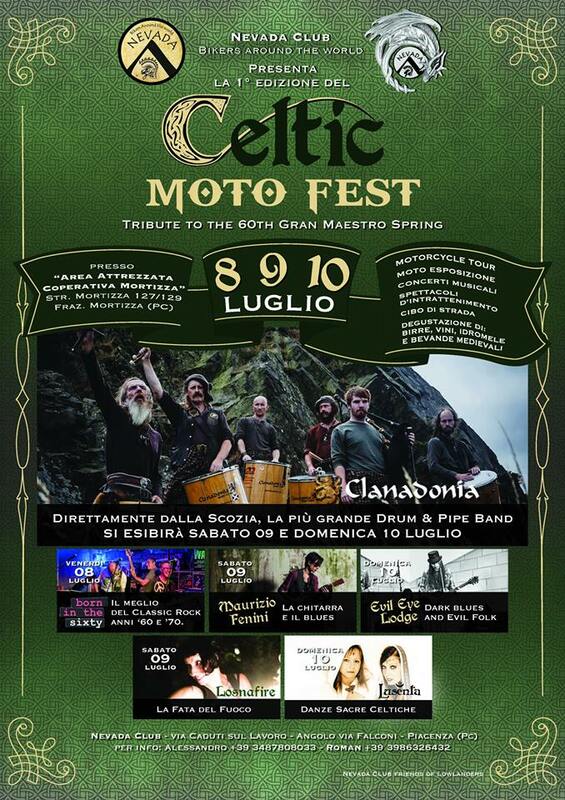 The guys are all set for a headlining Italy’s Celtic Moto Fest. If you’re heading along, be sure to say hi. We’ve had a very busy year this year and some amazing and interesting events have resulted. Not least today’s performance at Glasgow Airport to celebrate the launch of RyanAir’s inaugral flight from Glasgow Airport To Dublin. 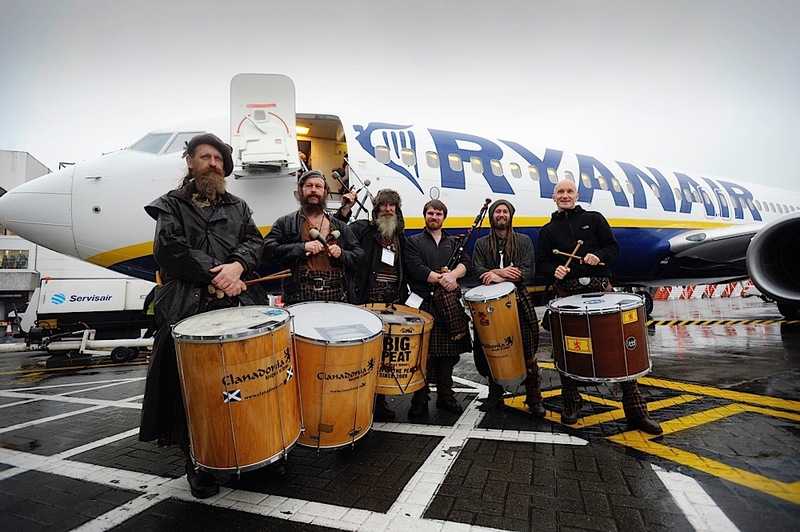 Clanadonia were brought in to perform as people boarded the plane and, despite the “classic” Scottish weather, they went down a storm! Many thanks to Glasgow Airport and RyanAir and on a purely selfish note, we’re delighted that we can now catch a RyanAir flight to Dublin direct from Glasgow Airport – it’s going to make our Dublin trips far easier from here on in! 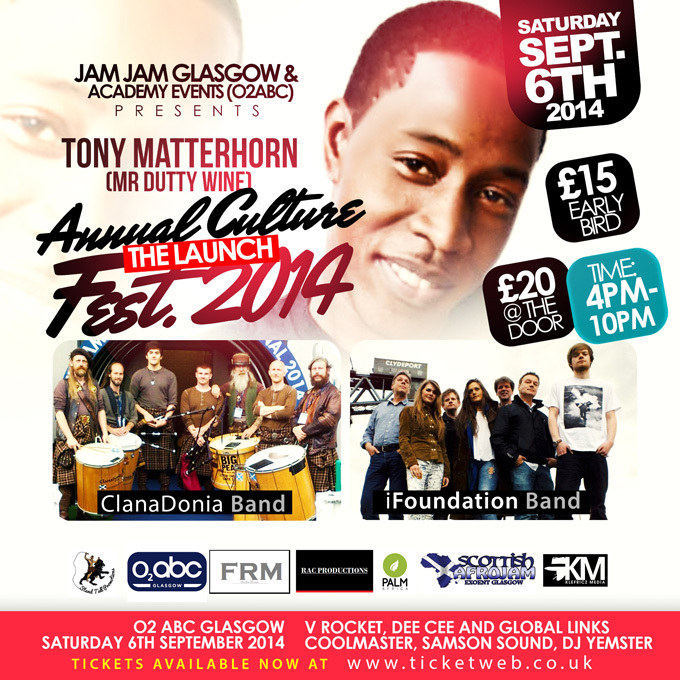 It’s been an incredible year for Clanadonia so far and it keeps getting better. 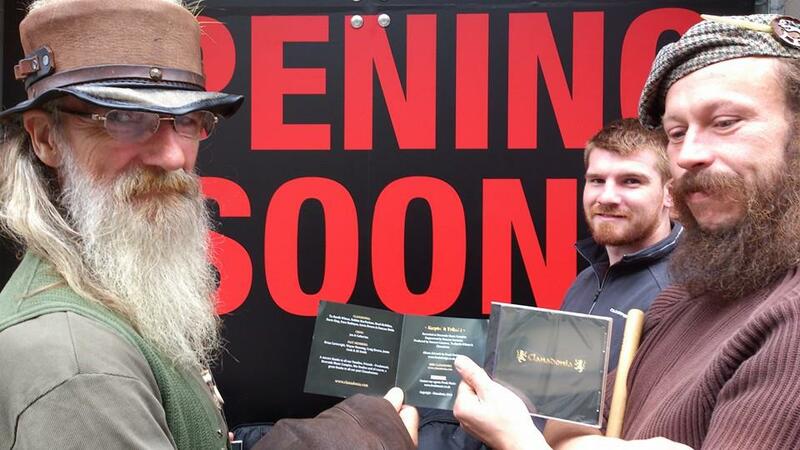 Clanadonia are delighted to feature their music in Sony’s American TV drama “Outlander”. Since launching last weekend it has become a huge hit with it’s launch becoming the most watched debuts for a cable series in history! New Album – Keep it Tribal 2 – out now! We are delighted to announce that our latest album “Keep it tribal 2” is now available to buy on our website. If you liked our first album, you’ll love this latest! The CD album is available to buy on our website through Paypal and the price £13 includes international shipping. 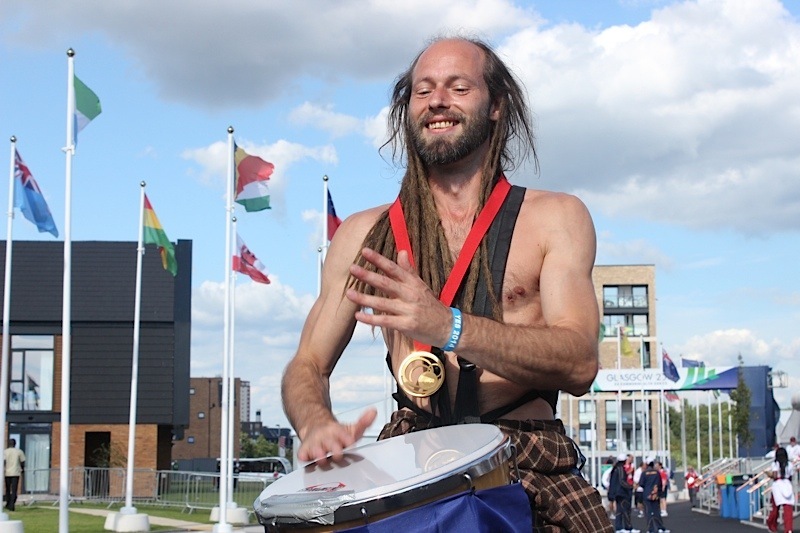 After performing at the opening ceremony of the Glasgow Commonwealth Games, the guys were delighted to be asked back to entertain the athletes as they arrived the Commonwealth Village. Needless to say they were very well received and turned out to be an alternative (and some might say rather loud) warmup session for the athletic teams!